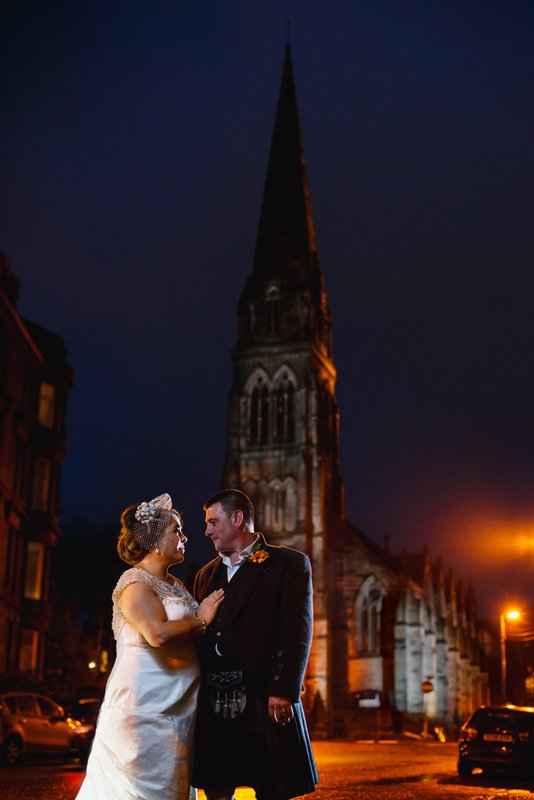 We make no secret of how much we love photographing weddings at Cottiers in Glasgow. 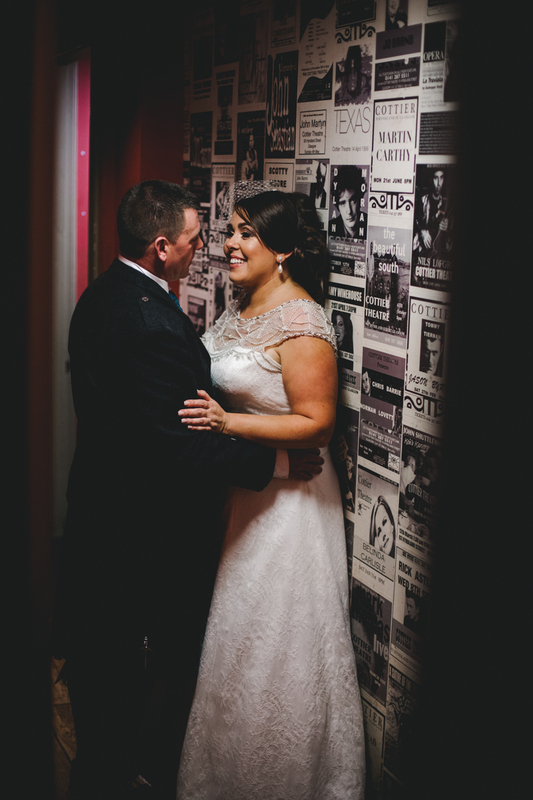 So we were naturally delighted when Lisa and John got in touch and asked us to capture the memories of their big day. 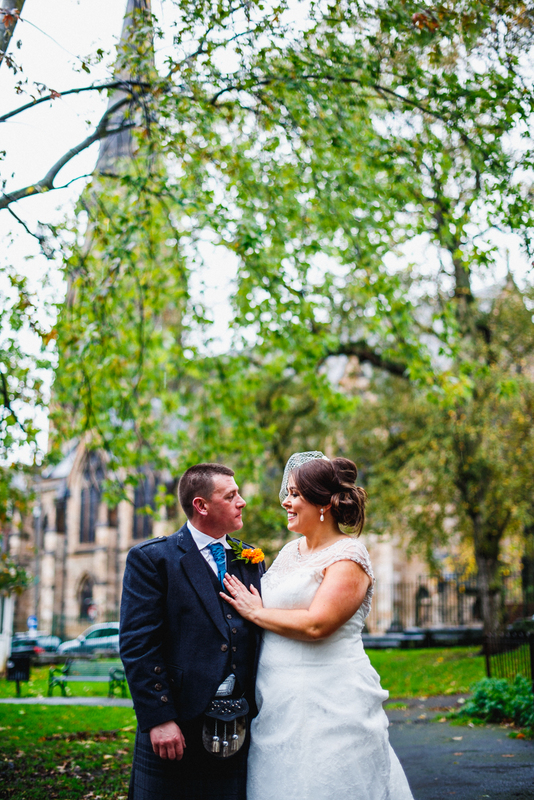 Not only that but we love the colours on show at this time of year; autumn is definitely a topper of a season! 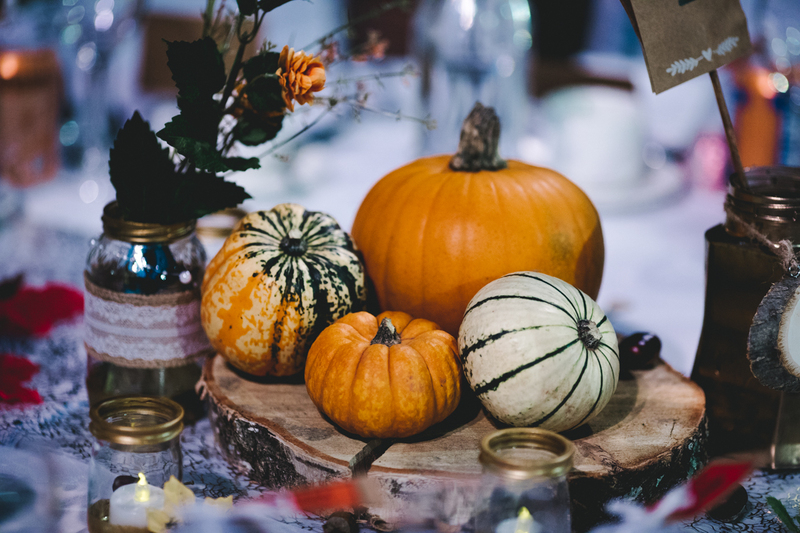 Lisa captured this perfectly with all the decorations she made to dress the venue, and her mum’s flower arrangements were perfect too. We started the morning by visiting both the boys and the girls, as they got ready for the day ahead. 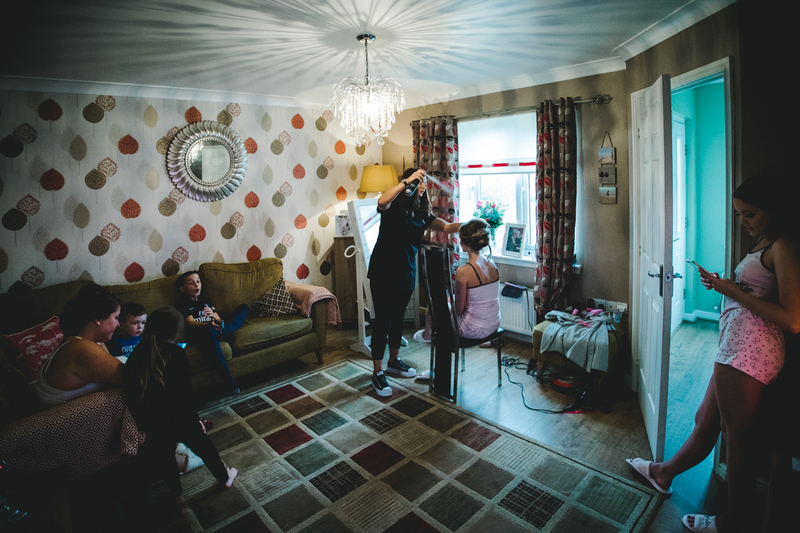 At Lisa’s house, Team Bride spent the morning having their hair and make-up done and they may even have enjoyed a cheeky wee glass of fizz to ease the nerves. I was kept entertained by the dancing antics of Ozzy the dog who clearly likes to put on a show for a slice of toast :) Lisa even had some surprise visitors, her colleagues from the nursery popped by to wish her well for her big day. 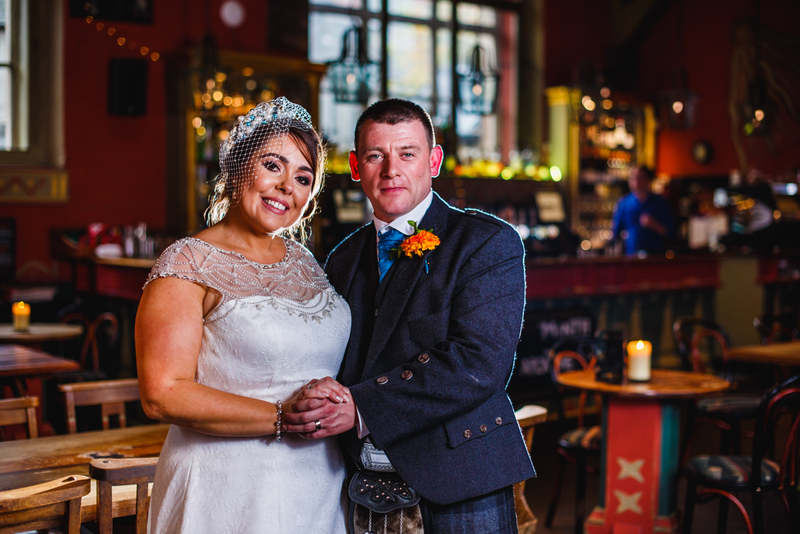 Over at John’s house, there was a similarly chilled out vibe as he and his son (and best man) got all kilted up so they were looking suitably dapper before heading off to Cottiers to welcome all of their guests. Lisa’s pal sings with Fiore wedding band so she did a turn as everyone was arriving to help set the mood. Did I mention the rain yet? 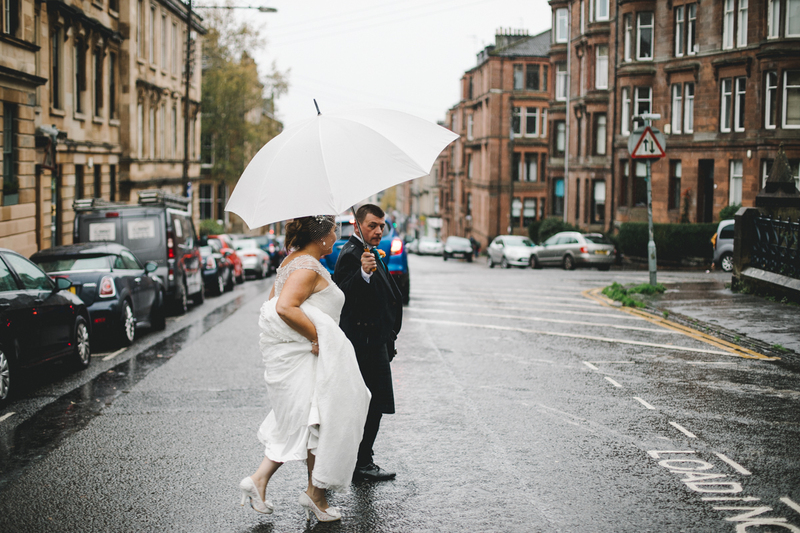 Well, it started chucking it down just as Lisa was leaving the house and arriving at Cottiers which meant Chris got a tad wet, anything to capture the moment. 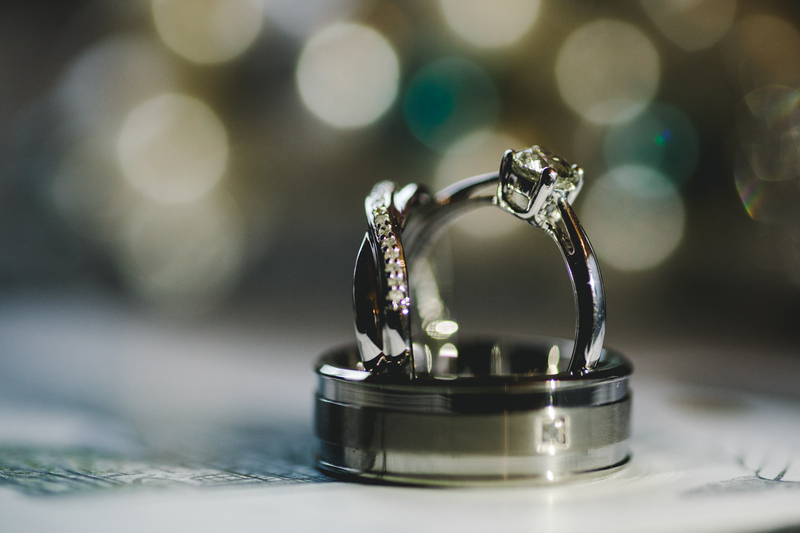 John and Lisa had decided to have a humanist ceremony. 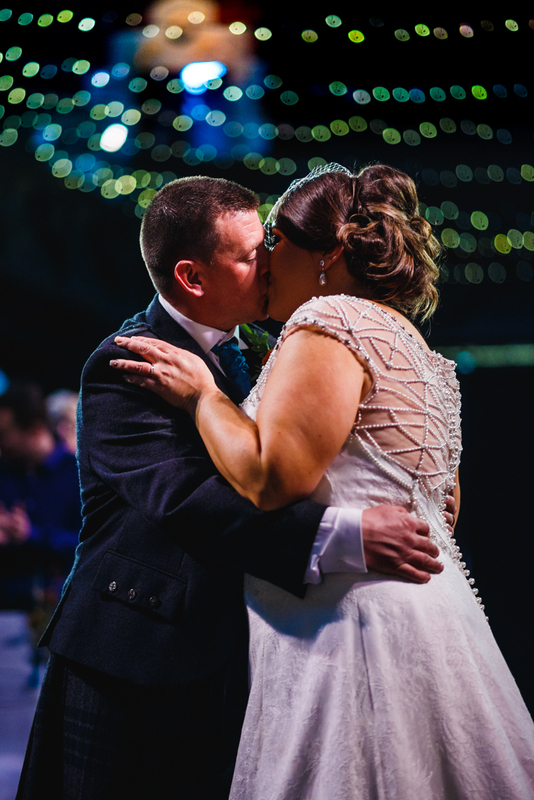 It’s easy to see why these ceremonies are so popular as they are just so personal and allow for the couple’s personality to really shine through. 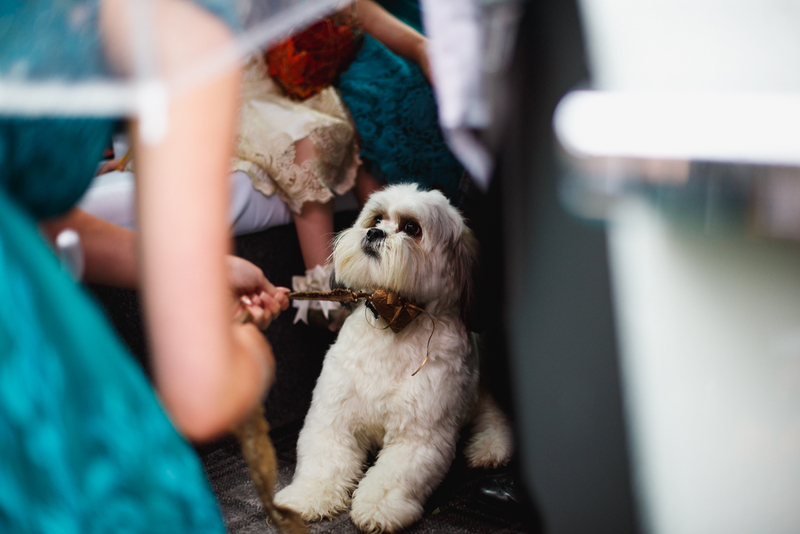 Little Ozzy even got in on the act as a ring bearer – we love it when the little furry ones manage to get in on the action. 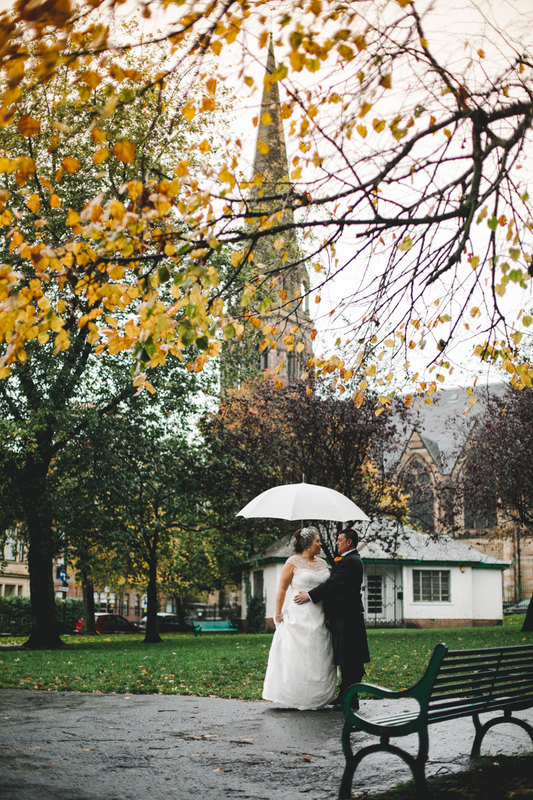 About that rain I mentioned… it was still going for it after the ceremony so we put together a plan of great spots inside Cottiers that we could get some photos of Lisa and John, but they were absolute troopers and wanted to head outside to get some photos in the park – superstars! Back inside and just before the wedding breakfast, we were treated to speeches from Lisa’s dad, John, John’s son, and Lisa’s brother. 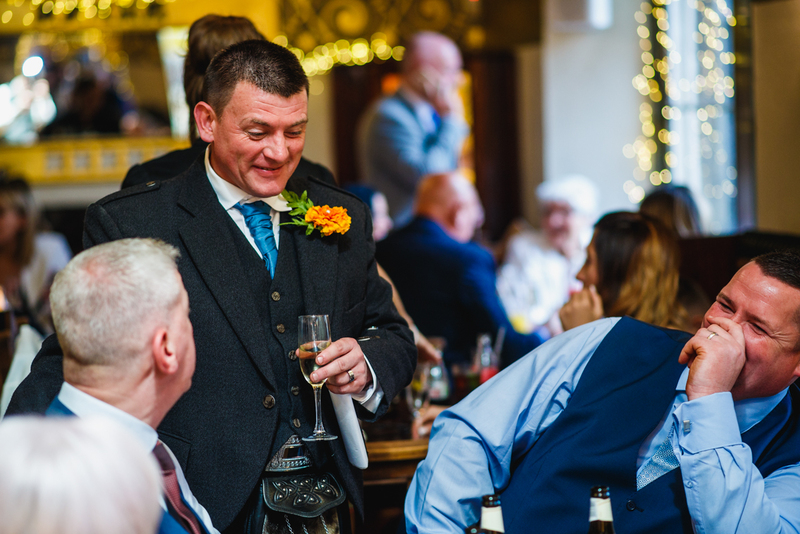 John’s speech was an absolute cracker, we always cross our fingers that a groom is going to say something lovely about his new wife, and John totally nailed it – just have a listen to the start of the mini-movie. 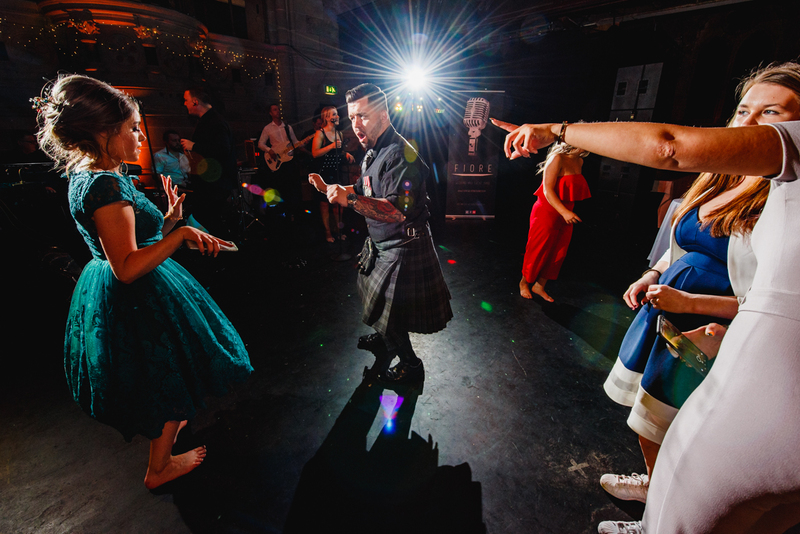 The evening’s entertainment was expertly taken care of by Fiore wedding band, they had dance floor full all night and even managed to throw in an impromptu Slosh. 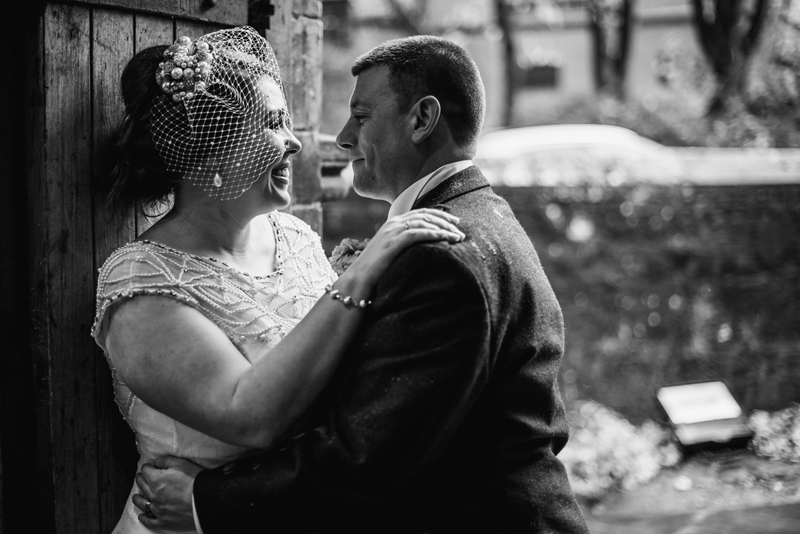 Thanks for having us along guys, and congratulations again on a truly wonderful wedding day.